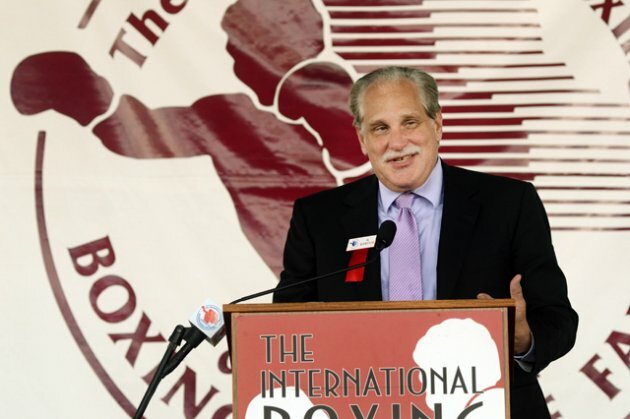 Hall of Fame Boxing announcer Al Bernstein will be inducted to the National Boxing Hall of Fame in Montebello, Calif. on April 28. Bernstein joins a distinguished 2018 class of inductees that includes: Muhammad Ali, Jerry Quarry, Zora Folley, Bundini Brown, George Chuvalo, Carlos Zarate, Lupe Pintor, Juan LaPorte, Ruben Castillo, Richie Sandoval, Eddie Mustafa Muhammed, Miguel Diaz, Herb Santos, Michelle Chong. “It’s a unique honor to be inducted into this Hall of Fame with these great boxing figures. The National Boxing Hall of Fame has already shown me great hospitality and I look forward to a wonderful day on April 28,” Bernstein said. Bernstein is already member of the International Boxing Hall of Fame and several state and regional Boxing Hall of Fames. On May 11th he will also be inducted into the Southern Nevada Sports Hall of Fame. Bernstein’s next SHOWTIME CHAMPIONSHIP BOXING assignment comes on March 31 when he will call the action for the Anthony Joshua-Joseph Parker heavyweight title unification match from Cardiff, Wales. “This match follows on the heels of the thrilling victory of Deontay Wilder over Luis Ortiz, with Wilder defending his title. We should also expect fireworks in the Joshua-Parker fight. Our own brand of Heavyweight March Madness will end with two Champions and perhaps they will be headed on a collision course,” said Bernstein.